Yarn Type Updated in a 25g format. It is more economical for you to use several of these delightfully sunny colours in one knit, as you can buy more accurate amounts of yarn with less left over. Warm wash, machine washable. 100% Polyester. Leaflet with designs for a Monkey toy using Snuggly Snowflake DK. 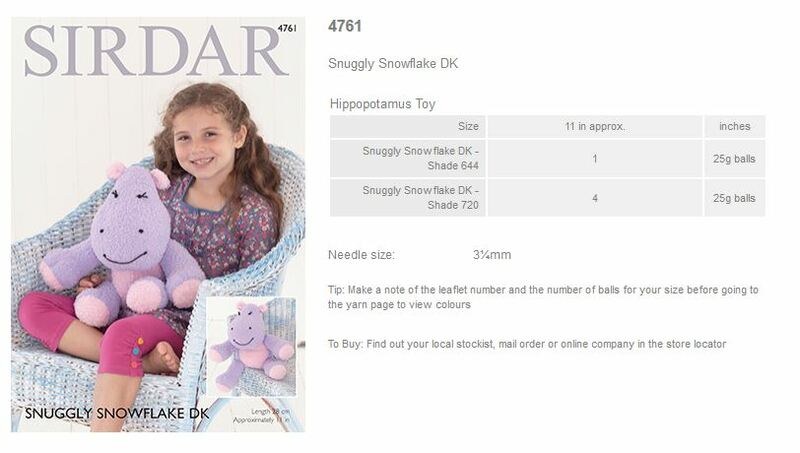 Leaflet with designs for a Hippopotamus toy using Snuggly Snowflake DK.